​Purple Finches are in upstate New York year around and often visit my deck. Love seeing them interact with each other and at times it almost sounds like he is scolding her. 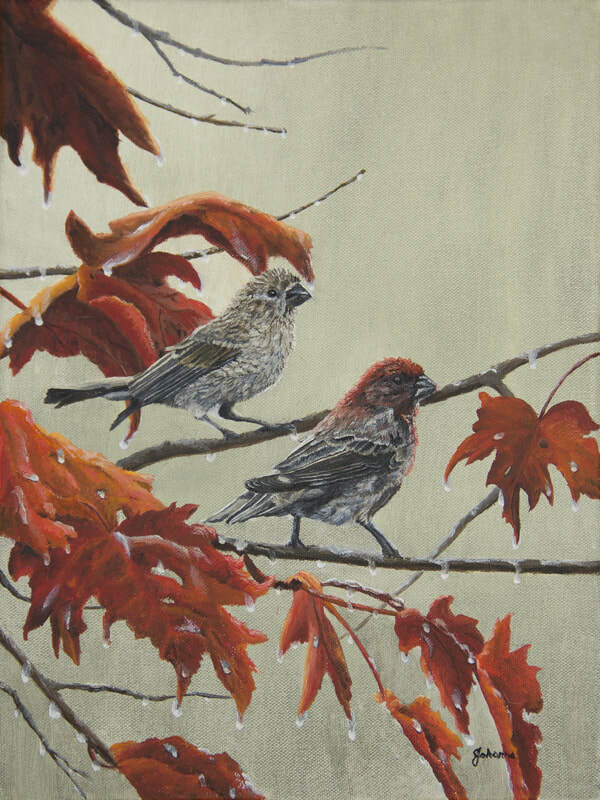 With this painting I wanted the leaves to reflect the colors of the male finch.